Japanese car maker, Honda, has announced the appointment that Yoichiro Ueno will be the new president and CEO of operations in India with effect from April 1, 2016. Yoichiro Ueno has been a part of the Honda group for over 30 years and has also served in other markets such as New Zealand, Thailand, China and North America. 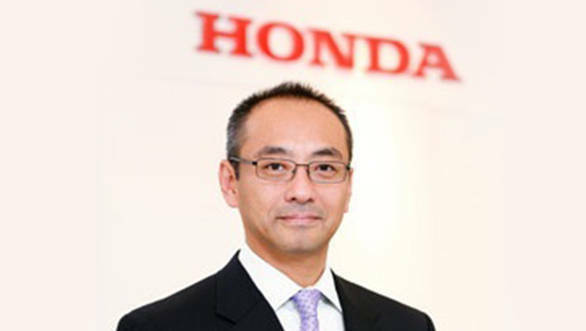 Prior to joining Honda Cars India, Yoichiro Ueno has been the chief executive officer and managing director at Honda Malaysia since January, 2011.Ueno has also worked as the assistant vice-president at Honda Motor Company America. He was involved in the planning and coordination of sales and marketing in the United States market. Yoichiro Ueno takes over from Katsushi Inoue, who has now been promoted to chief operating officer, president and director at Honda Motor Europe Ltd. He will now be responsible for regional operations in Europe. Honda Motor Co., Ltd. has appointed Mr Yoichiro Ueno as the new President & CEO of Honda Cars India Ltd with effect from April 1, 2016 consequent to the management changes announced by the Honda Motor Company Board of Directors today. He will take over from Mr Katsushi Inoue, who has been elevated to the position of Operating Officer of Honda Motor Co., Ltd, becoming the Chief Operating Officer for Regional Operations (Europe region). During his tenure in India, Mr Inoue led several initiatives in the field of digitization to enhance customer experience and bring in operational efficiencies at the company and dealership level. The 3rd Generation Honda Jazz was successfully launched in India and the company also witnessed significant expansion in its dealer network during this period. Mr Inoue will move to Europe to take over as the Chief Operating Officer, Regional Operations (Europe Region) and President & Director, Honda Motor Europe Ltd. Mr. Yoichiro Ueno has been the Chief Executive Officer and Managing Director of Honda Malaysia Sdn. Bhd., since January 2011. Mr Ueno was previously the Assistant Vice President of Automobile Sales of American Honda Motor Co. Inc., where he was involved in the overall planning and coordination of sales and marketing in the US market. Mr Ueno has been associated with Honda Motor Co., Ltd. for over 30 years and has vast experience in the automobile industry, having served in markets outside Japan like New Zealand and Thailand, and worked with overseas division and countries such as Asia and Oceania, China and North America.